Every little girl and boy loves a party, and they all want to blow out the candles on the birthday cake. Press her tummy to "blow out the candles on her cake". Press her cake and see it light up and the song "Happy Birthday" will play. The candle will go out in a couple of seconds and looks like doll has blown out the candles. The cake is missing one slice of cake but really doesn't matter as the other slice has valcro on it which attaches to the rest of the cake. There is some wear around the plastic of the candle. 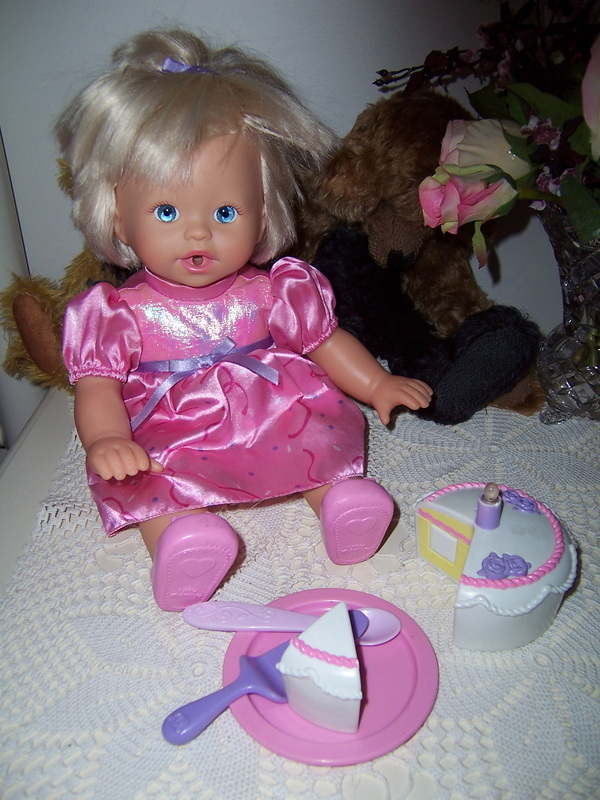 We also have the original purple cake server - "Mattel", and have a plastic pink spoon, and a vintage "Bluebox" pink plate to help her to eat her cake. 8. My party mommy - how old am I? 9. I made a wish. 3 X AAA Batteries for the cake are not included. A lovely doll for pretend play for a special toy birthday party!! This little doll is so cute in her pretty pink birthday dress and her birthday cake which sings " Happy Birthday" and other things. Baby Ah-Choo is all stuffed up and needs tender lover care. 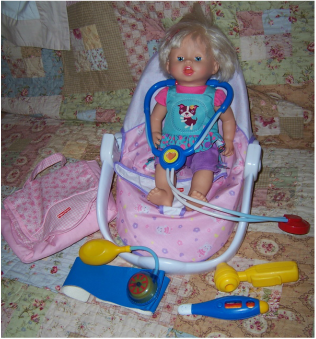 Youngsters will love to squeeze the doll's tummy and watch her "sneeze" and then help her get better. 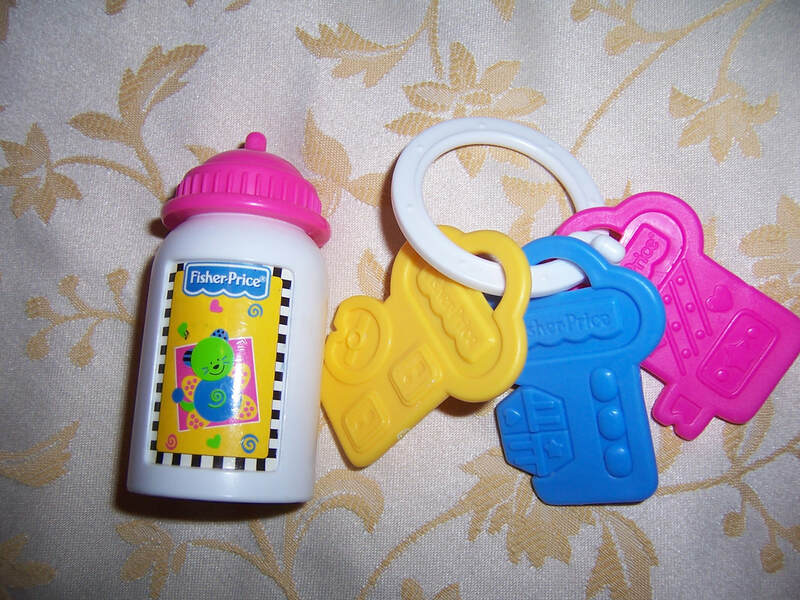 This is a replacement toy doll baby bottle & toy baby doll keys only for Mattel Fisher Price Walk Little Mommy Baby Doll. These items could be used for other dolls.